At the office of Dr. Meredith Asprer-Beltran, your dental care is our top priority. Our entire team is dedicated to providing you with the personalized, gentle care that you deserve. Part of our commitment to serving our patients includes providing information that helps them to make more informed decisions about their oral health needs. This website is a resource we hope you’ll find both useful and interesting. Building a foundation of trust by treating our patients with genuine care and concern is essential to our success. 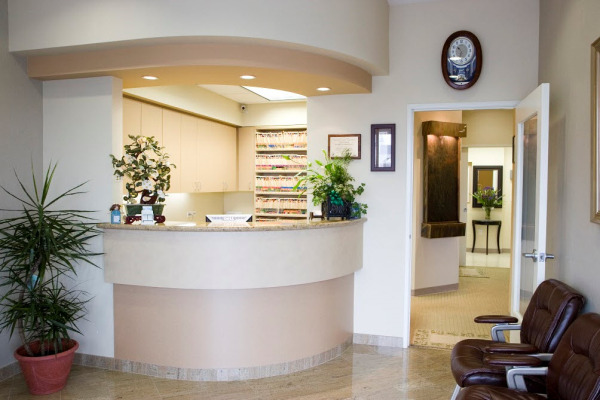 We understand how anxious some patients can feel about their dental visits, and we know that we can make a difference by providing a more tranquil and serene setting. Our state-of-the-art equipment, entertainment systems, and massage chairs help create a more calming and relaxing experience. Our entire team is dedicated to providing you with excellent, personalized care and service to make your visits as comfortable and pleasant as possible. With English, Spanish, Tagalog, and Ilocano spoken in our office, we welcome a diverse group of families and seek to provide our services to as many people as possible. The reliability and consistency of our care has been reflected by the many generations of families that have chosen us for their dental needs, coming from Sonoma, Napa, Solano, and Sacramento counties and the San Francisco Bay area. We see our achievements in the smiles of each one who comes under our care. We take pride in the relationships we form with our patients and hope to welcome you as part of this family. As your dental health professionals, we want you to be confident knowing that we are a team of well trained and skilled clinicians. We pride ourselves in providing the care you need to keep your smile healthy. To give you the best possible service and results, we are committed to continuing education and learning. We attend dental lectures, meetings, and dental conventions to stay informed of new techniques, the latest products, and the newest equipment that a modern dental office can utilize to provide state-of-the-art dental care. Also, being members of various professional dental associations helps us to stay abreast of the changes and recommendations for our profession.